If you’ve never had the chance to eat or make polenta then you’ve definitely been missing out. 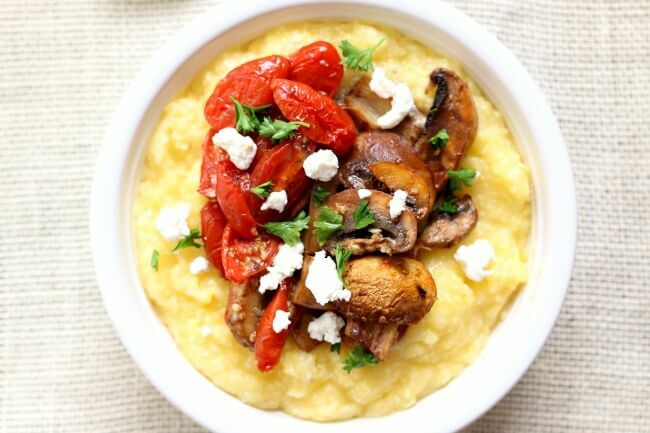 Polenta is super versatile, plus it is perfect for people with dietary restrictions because it is generally made with just a coarse cornmeal and water. 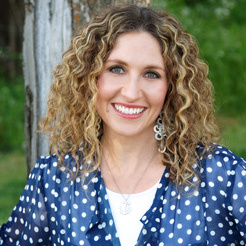 This makes it perfect for those following a gluten-free or vegetarian diet. But make no mistake about it – it isn’t lacking in flavor at all! You can customize any polenta recipe to your liking. My favorite way to serve it is with roasted mushrooms, tomatoes, and goat cheese. 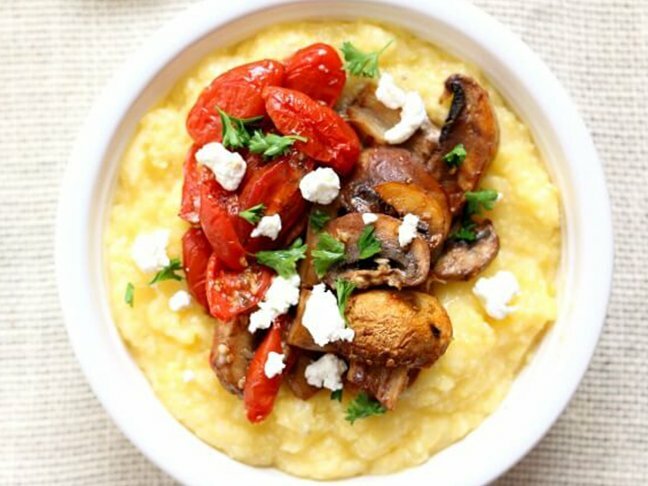 The flavors of the roasted vegetables pop and the goat cheese gives this polenta recipe a bit of tartness. Polenta is best made with either medium- or coarsely-ground cornmeal. I was able to find what was labeled “polenta/corn grits” in the bulk section of my grocery store. I bought about 2 cups of it for only a dollar. You can also find it next to the pasta and pasta sauces. For this recipe, I used the non-instant kind. Polenta can be served hot and creamy, almost the consistency of a hot breakfast cereal, or it can be cooled and then cut into pieces and perhaps grilled. I prefer it warm and creamy in a bowl. 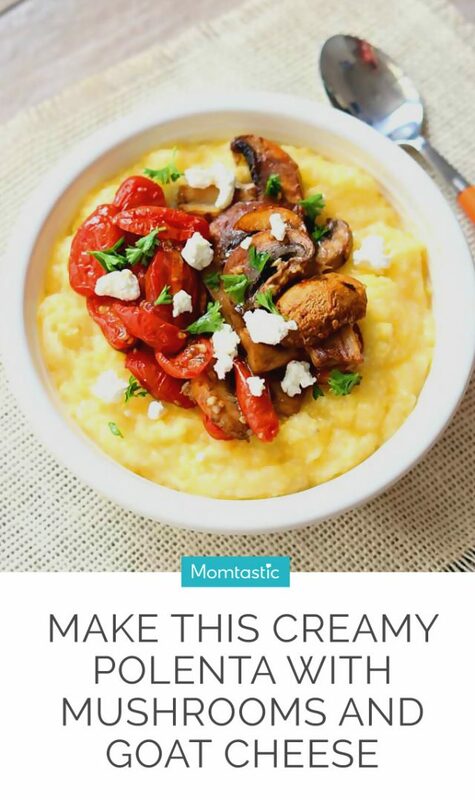 This creamy polenta recipe is super easy – follow my directions below and you’ll be a pro in no time at all! Step 1: Bring the water to a boil over medium high heat. Add in the polenta and 1 tsp salt and whisk until smooth. Reduce heat to low and simmer, whisking often, until polenta starts to thicken, about 5 minutes. Step 2: Cover and cook for 30 minutes, whisking every 5 to 6 minutes. 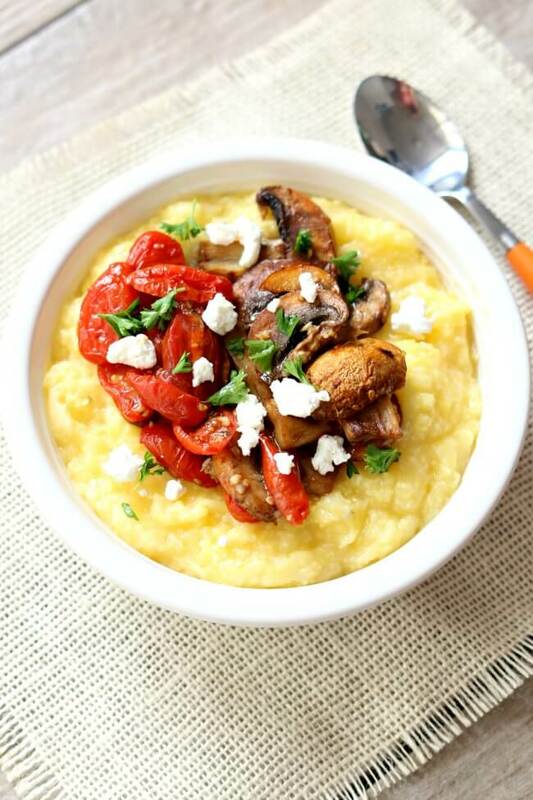 Polenta is done when texture is creamy and the individual grains are tender. You can even cook for a bit longer because it will taste sweeter and more corn-like. 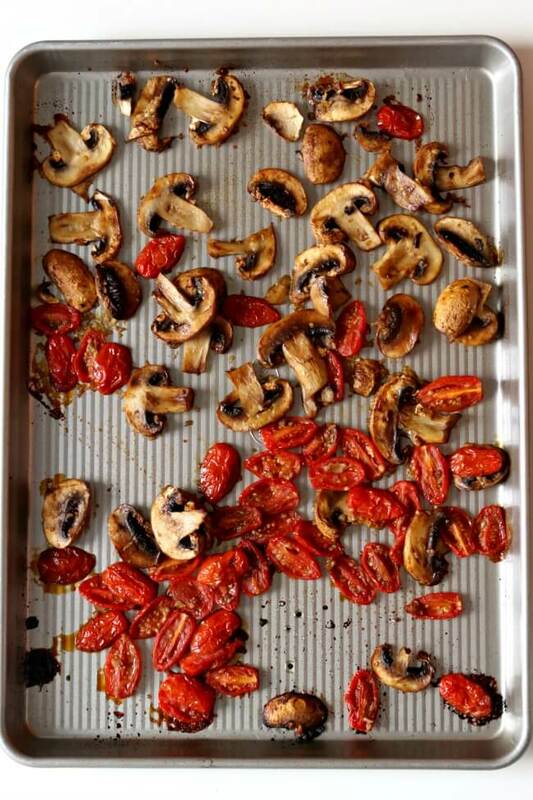 Step 3: While the polenta is cooking, preheat your oven to 400 degrees F. In a bowl toss together the mushrooms, tomatoes, olive oil, balsamic and garlic. Coat the tomatoes and mushrooms with the oil. Spread it onto a baking sheet. Put the baking sheet into the oven. Cook for 15 minutes. 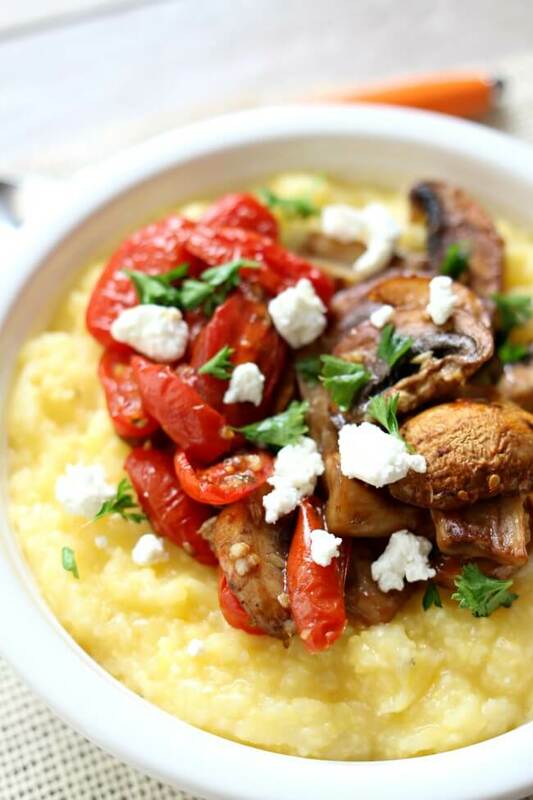 Step 4: Serve the polenta in a bowl and top with tomatoes and mushrooms. Sprinkle each bowl with a tablespoon of goat cheese.